Honor, a leading smartphone e-brand under the Huawei Group, has unveiled a brand-new colourway for its latest smartphone, Honor 8X. Packed with premium features and under SR1,000 ($266), Honor 8X is now available in a shade of elegant and rich red. Honor 8X features a 6.5-inch full view display and 91 per cent screen to body ratio. Housing a high-end 20MP dual lens camera with Super Night Shot and AI support, the Honor 8X pairs hardware and software to help create the perfect photo. The on-board Artificial Intelligence is capable of recognizing 500 scenarios in 22 different categories in real-time, which it will then use to adjust the camera settings accordingly. Super Night Shot also takes advantage of the AI technology and eliminates the blurring of photos taken in low light under a maximum of 6-second exposure. The hardware is further complemented by an extended battery life and large internal storage of 128GB. 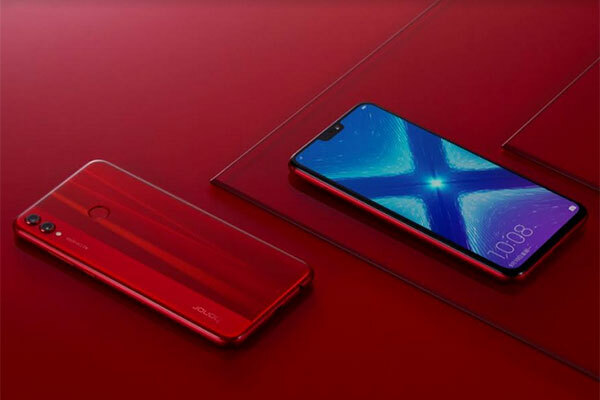 The Honor 8X also supports dual SIM card slots and an additional MicroSD card slot to extend storage further to 400GB. Thanks to software optimization and a large battery working in conjunction with the new octa-core Kirin 710 chipset, the Honor 8X is capable of delivering superior performance without compromising on efficiency. The Honor 8X is also the first smartphone to come equipped with a new generation eye comfort mode with TüV Rheinland certification, reducing blue light emission from the screen thus preventing eye fatigue. The Honor 8X is available in Saudi Arabia in blue and black and will be available in red on October 22 at all major retailers such as Jarir, Extra as well as online portals, priced at SR999.